Under construction modern villa with beautiful open views over Moraira village, upper floor sea view and only 2,5 km from the beach. 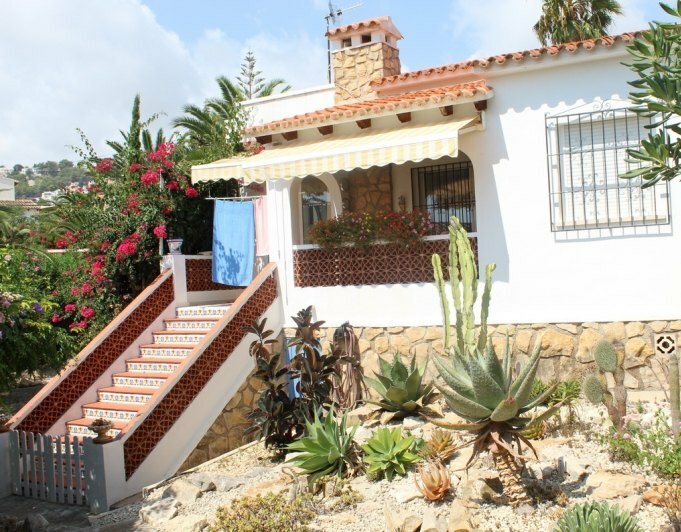 Located in the sought after area of Camarrocha in Moraira , quiet location with short distance to all the amenities . The villa is situated on a flat plot and has 3 double bedrooms with fitted wardrobes and the possibility to construct a 4th bedroom, 3 bathrooms, a modern kitchen, laundry room and covered parking, easy maintenance garden with automatic irrigation system. The luminous open plan living - dining room will give you access to the infinity pool and spacious terrace and garden area. Only high quality materials are used for the kitchen, bathrooms and fittings; such as Siemens and Roca. Completion date is expected to be in June 2019.